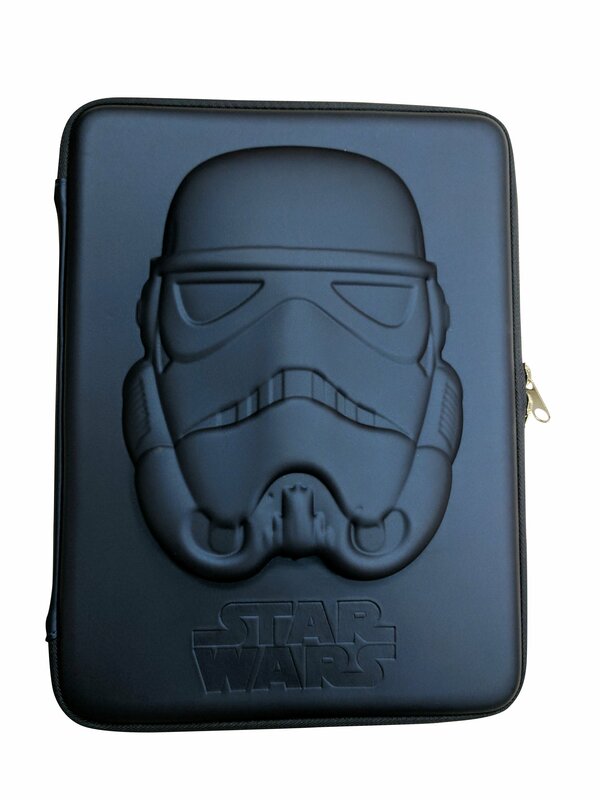 Storm Troopers are well travelled. Hauling their gear around the universe from planet to planet in search of the Rebels is s a tough job. 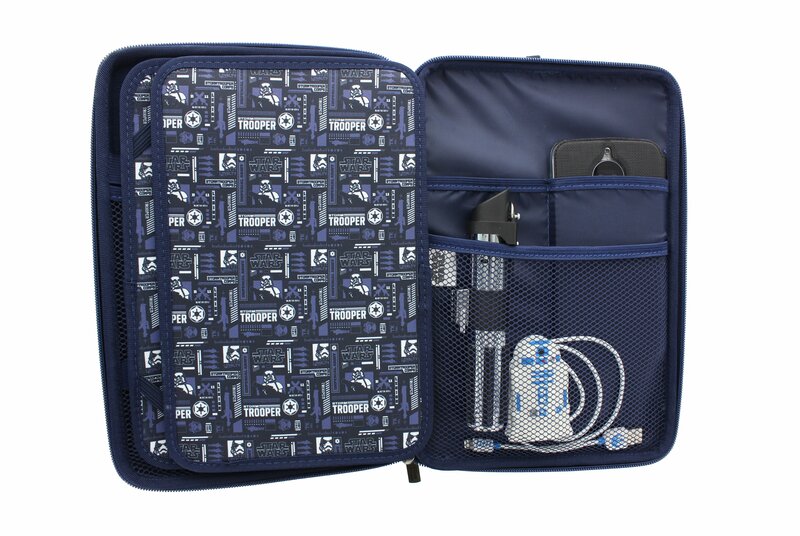 They need a case to protect their tablet and somewhere to store all those charging cables. 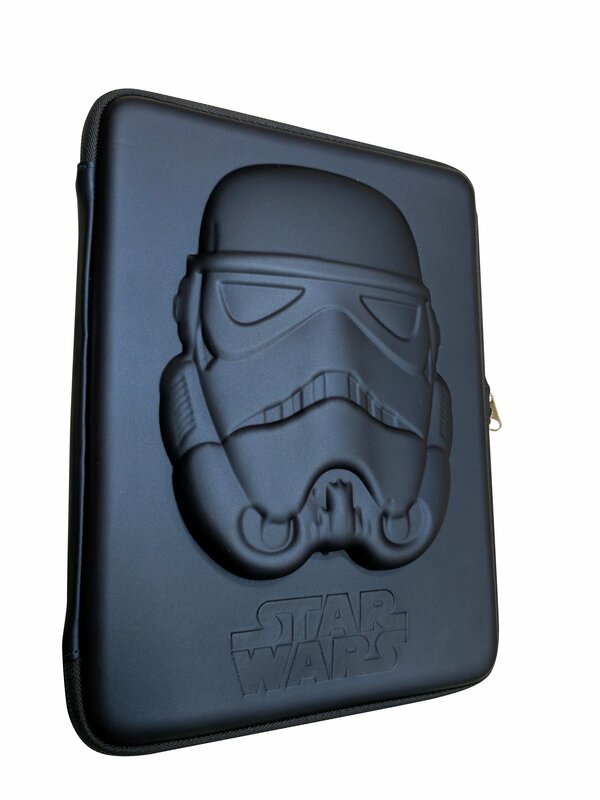 Introducing the 10”, Universal Trooper tablet case. 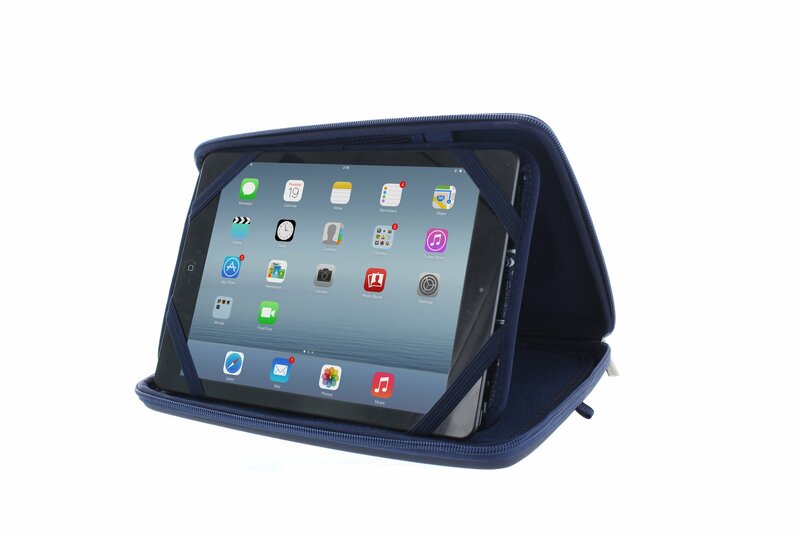 This protective case is made out of tough EVA and even includes a stand function for movie viewing. 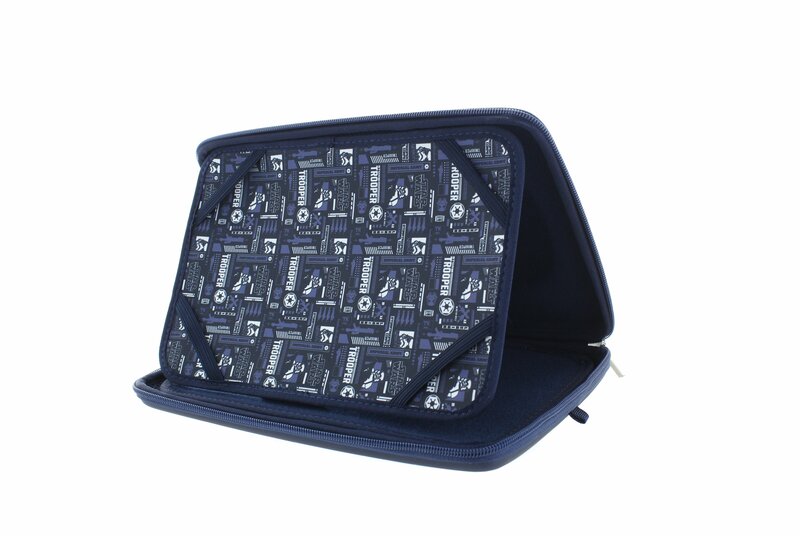 The inbuilt inner storage pockets are great to make sure you always have a cable handy.